Otter feeding will be at 10.30am and 3.00pm each day. 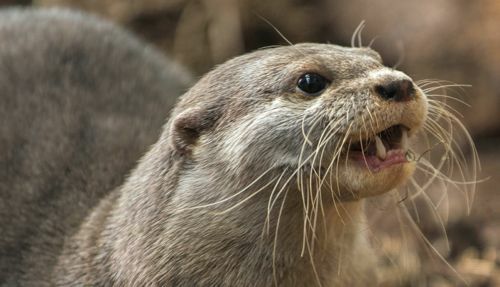 If you come to one of our family themed event weeks, you might also catch up with Oscar, our otter mascot – every bit as playful and loveable as our real otters. *Please note that during special events and busy periods it may be necessary to change the talks programme without prior notice. Visitors love our fabulous open top Morecambe Bay tank where they can come face to face with British sharks and inquisitive rays. Discover a variety of other species including flat fish, ballan wrasse, cuckoo wrasse and turbot.